Born in a upper class intellectual German Jewish family in the first decade of the 18th century as Peter Joachim Schoenfeldt, German Swami was at various times a Mahayana Buddhist Monk, a Tantric Master of the Tibetan school and finally a devotee of Maa Adya Shakti and a sanyasi of the Naga Dasnami order established by Adi Shankaracharya. Gauribala Swami travelled all over India and Tibet and met many masters but did not find any he could accept with all his heart. Then one day as he was browsing through some books at a bookstore in Jaffna, Sri Lanka, a poorly dressed man with a beard and strange ways, came up to Gauribala and said, "You bloody fool, it is not found in books." Gauribala has found his guru in Yogaswami of Nallur. A website dedicated to the tradition to which German Swami belongs, mentions how German Swami loved cracking jokes. "German Swami was at the Mahadevale gate with begging bowl. Coins flowed in, perhaps because he was European. A richly-dressed man was about to pass by when Swami repeated the begging mantra. The man looked at him, embarrassed, and touching his breast pocket said, "No change." Pat came the instant reply with feigned humility and a side-grin at me: "We also accept big notes!" Swami Gauribala left his body in 1984 with the words Umma, Umma, Umma! (Uma, the Supreme Mother) on his lips. May Mother Gauri, the mother of Swami Gauribala and of the Universe bless us with the supreme gift of Ananda! Jai Mata Di! Welcome to Shri Radhe Guru Maa's official blog. This blog came into existence after several devotees of Shri Radhe Guru Maa across the globe suggested that such a page be created to give them an opportunity to keep track of Shri Radhe Guru Maa’s Darshan schedule, Bhakti Sandhya and itinerary. Shri Radhe Maa - Jai Baba Gaur Bhairav ki! Hail Mahadeva Shiva, the Lord of Rama! Do you want Lord Krishna or his power? 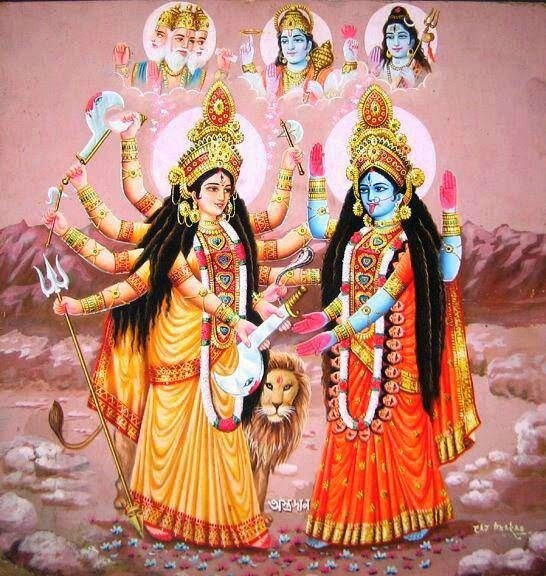 Jai Mata Bhadrakali of Warangal! Copyright © 2012. All Rights Reserved. . Ethereal theme. Theme images by caracterdesign. Powered by Blogger.